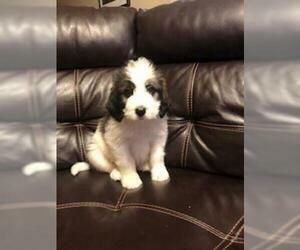 Overview: The Saint Berdoodle is a mix between the Poodle and the Saint Bernard. These dogs are great for families, but need room for exercise. Coat: The coat is long and either curly or wavy. 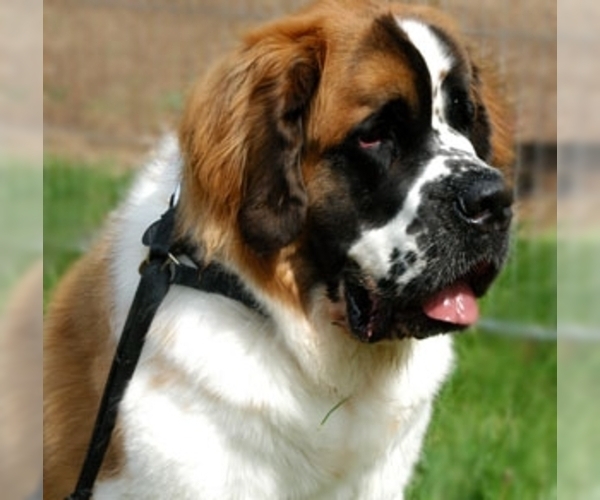 Character: Saint Berdoodles are friendly, gentle and intelligent. Temperament: Saint Berdoodles get along very well with children and other pets. 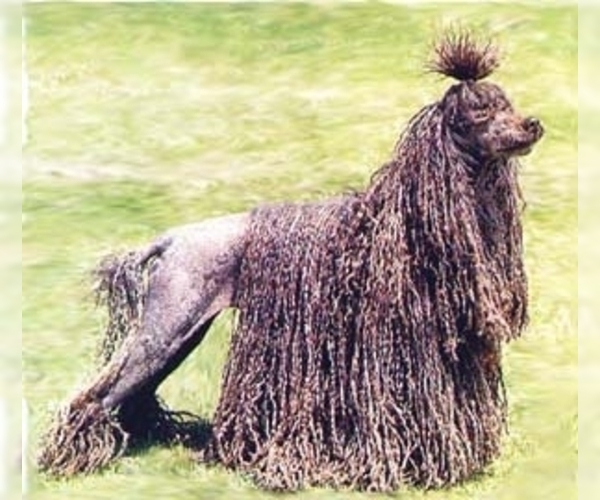 Care: The coat needs to be brushed daily and bathed as needed. Training: Saint Berdoodles respond well to consistent, gentle training. Activity: This breed needs plenty of exercise. Regardless of a person's identity verification status on our site, we strongly recommend to take extra steps researching and verifying the legitimacy and professionalism of anyone you are planning to deal with. If possible meet in-person, or at least arrange a video conferencing session. Search the internet for business name or email (see if there is any information you can dig up). Use services like Paypal Verified or Google Wallet or any other verified digital payment method, where you might have any kind of recourse or purchase guarantee. Before getting a new puppy, make sure you are prepared to share your life with a new family member for the next 15 or more years! Owning a dog is a big responsibility! 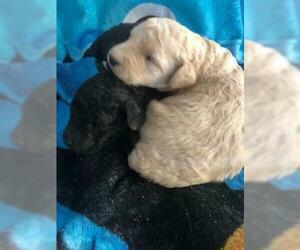 Are the puppies' parents "certified"? This means that certain breeds are often at risk for genetic conditions such as hip problems, heart problems and eye problems. Most of these diseases are inherited, meaning the disease is passed from parent to puppy. Many breeders will have their dogs evaluated and tested for that disease and ultimately "certified" by a veterinary specialist to be disease-free. What are the sizes of the puppy's parents? Know how big the parents are, to get a good idea of how big your puppy will be. Is that the size dog you want? Ask to meet the dogs parents. If possible, meet the puppy's parents. Notice if they appear to be in good health and evaluate their overall temperament. Are they shy, aggressive, or well adjusted? How have they socialized the pups? Have the pups been around other dogs? Other people? Socialization is critical in puppies 6 – 16 weeks old. Proper socialization consisting of good experiences of a puppy with other puppies and lots of different ages, sizes and types of people will give you the best chance at having a well-adjusted dog. What vaccines has the puppy had? How many shots has he received and when will the puppy be due for his next puppy shot? Have the puppies been dewormed? All puppies are born with worms and routine deworming is recommended. Have any of the puppies in the litter been sick? If so, what were the signs, the diagnosis and treatment? What visits has the puppies had with the veterinarian? Have they been examined and declared "healthy"? If not, what problems have they had? Have they been on any medications? What is their guarantee? What guarantee does the breeder give with their puppies? If the puppy is found to have a severe illness, what will they do? This is a difficult topic but one that is a lot easier to cover up front rather than later. Recommendations? Ask the breeder for a couple references of puppy owners that they have sold within the past year. CALL them. Find out if the breeder was fair, if they were happy with their pups, and how any problems were handled. Breeders contract? Does your breeder require a breeder's contract? If so, what is in it? Is the breeder willing to take back the puppy at any time, if you can't keep it? Limited registration. Some breeders require that you spay or neuter your dog by a certain age. If that is the case, that may not be a problem but it is best to know before you get your puppy. What is the family history? Ask if the breeder has information about the breed line. For example, ask how long the dogs have lived and what they have died from. Write it down. This may be important for monitoring your pet as he gets older. What is the breeder currently feeding the puppy? Regardless of what they are feeding, it is ideal to continue feeding the same food for the first few days at home to minimize the risk of gastrointestinal disturbances. If you choose to change the diet, do it gradually. Health certificate and certificate of sale. Ask the breeder if he will supply a health certificate for the puppy issued by his veterinarian. Some states require also a certificate of sale. Does the breeder belong to a breed club? Ask for references. Get your questions answered and feel very comfortable with your new puppy.